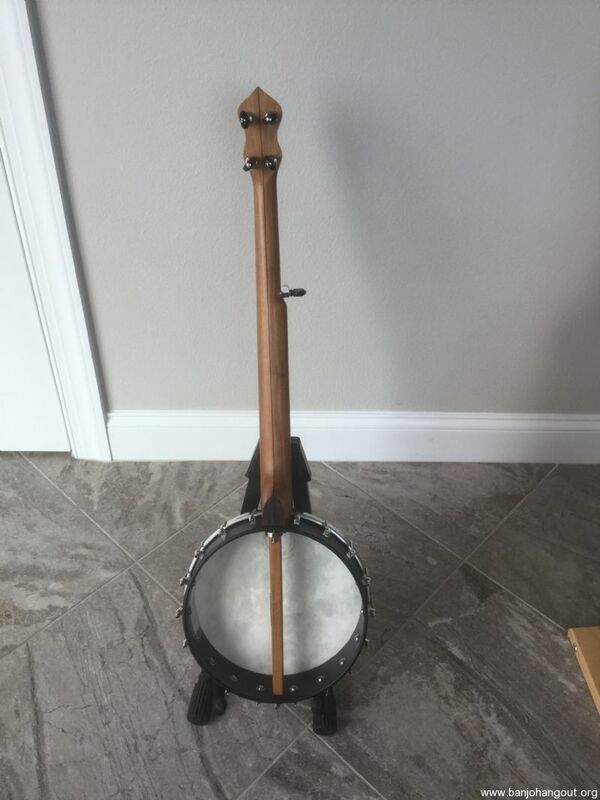 This is a Cedar Mountain "Brainjo" banjo based upon the collaboration of Tim Gardner at Cedar Mountain Banjo and Josh Turkett of the Brainjo learning method. 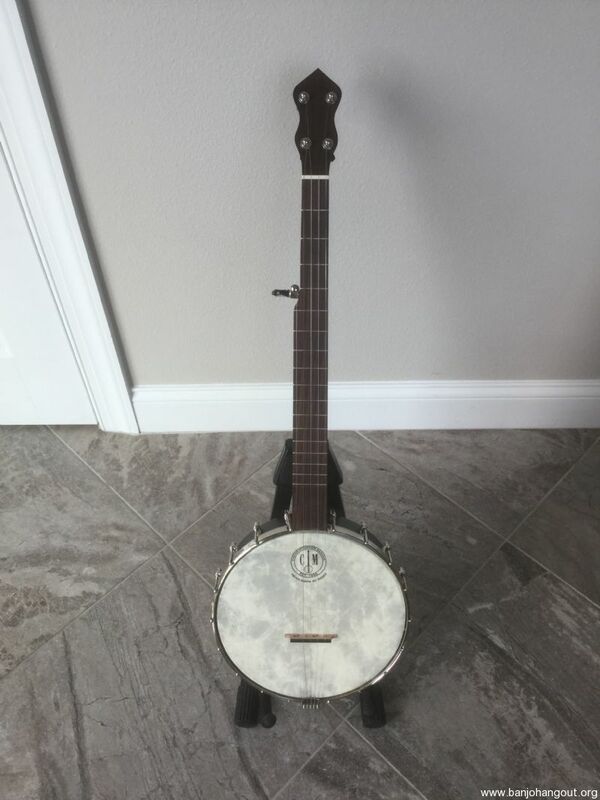 This particular Brainjo was the Roscoe model with a weatherking fiber banjo head and Nygut strings. 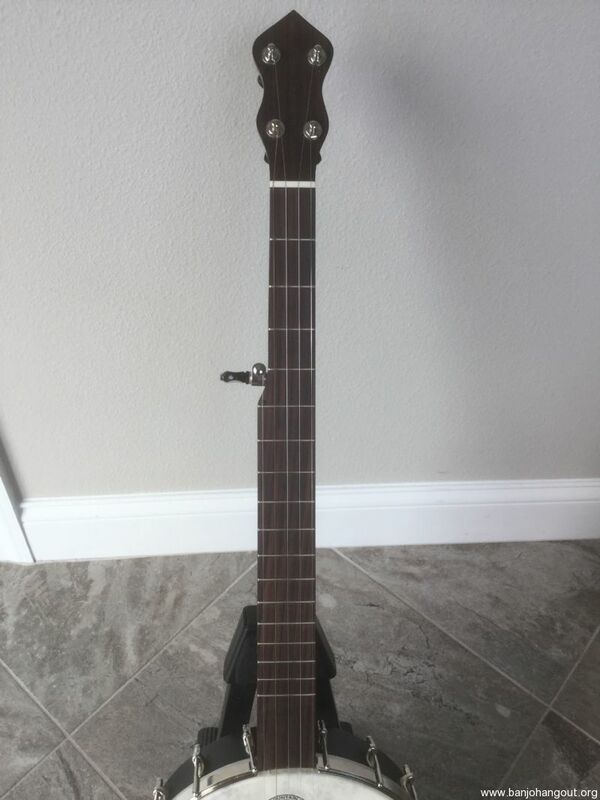 I replaced the Nygut strings with D'Addario medium steel strings. 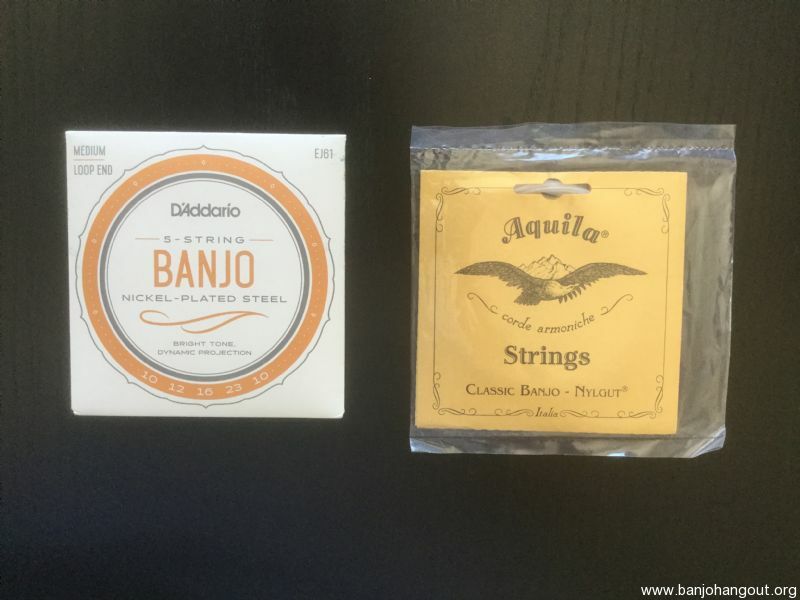 I am also including a new set of Aquila Classic Banjo Nygut Strings and a set of D'Addario EJ61 Nickel Plated Steel Medium steel stings (see photo). 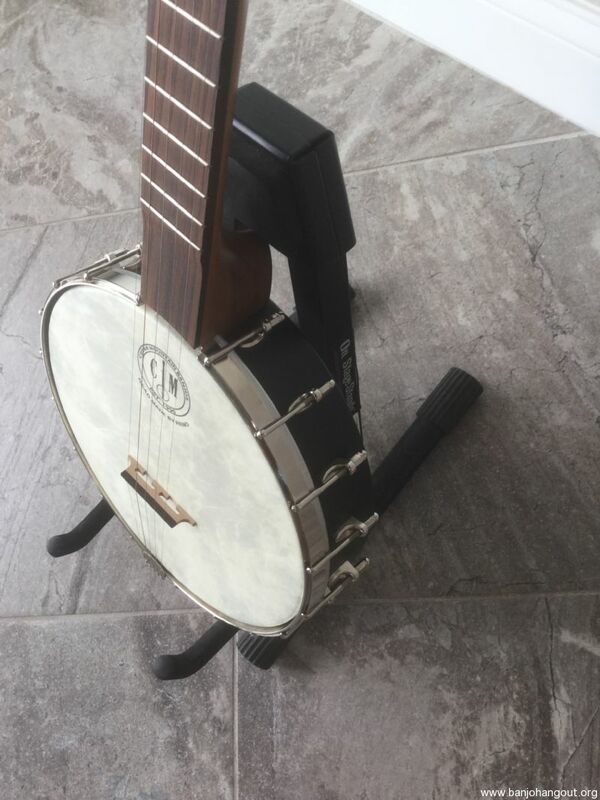 Provided below is some additional information about this banjo, gigbag and Cedar Mountain Brainjo banjos. 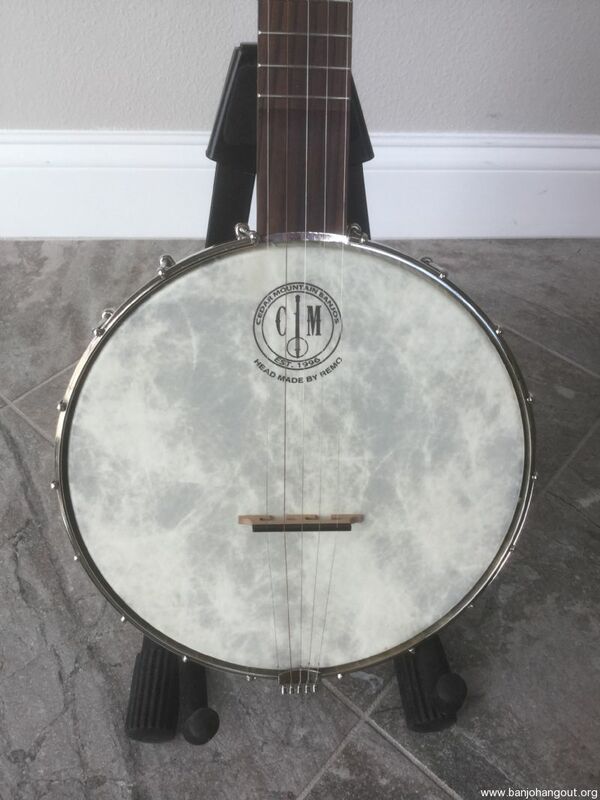 This is a very nice and loud 2018 Cedar Mountain banjo. Provided below is the information from the Cedar Mountain website. 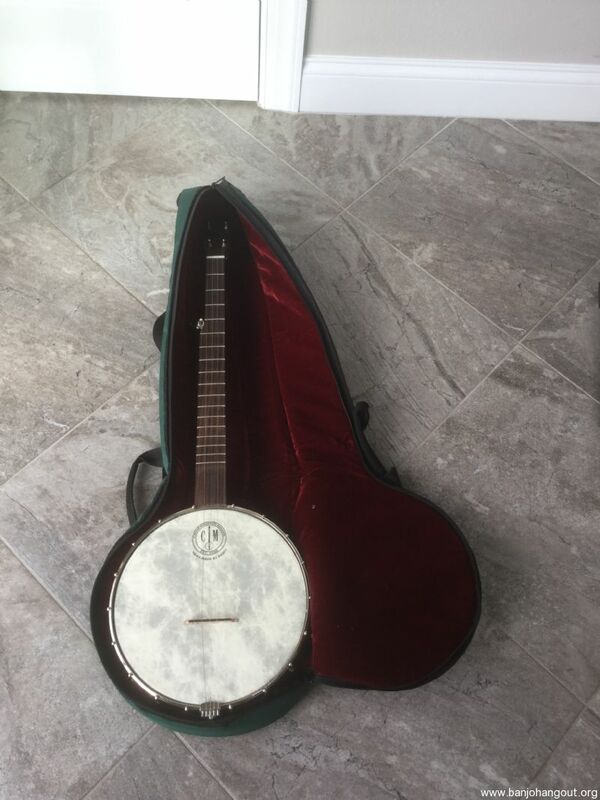 This banjo, in excellent condition. 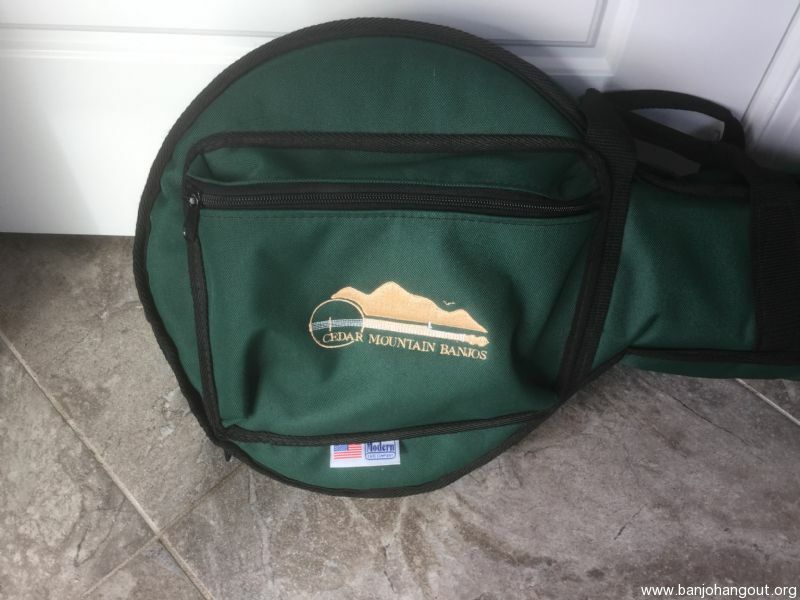 It is not mint because of a few minor dings and wear marks that are too small to photograph.The neck of the banjo is absolutely beautiful to look at and is easy to play.This banjo ships in a very nice Cedar Mountain Gig Bag (also in vintage condition. Please do not ask about trades or price negation. 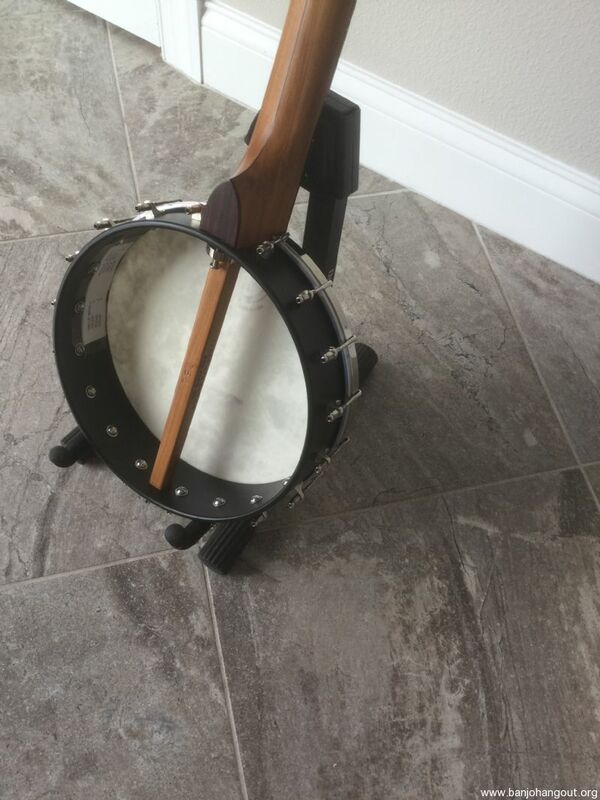 The banjo is is fine instrument and is being sold at a very fair price. Please do not ask about trades or price negotiations. 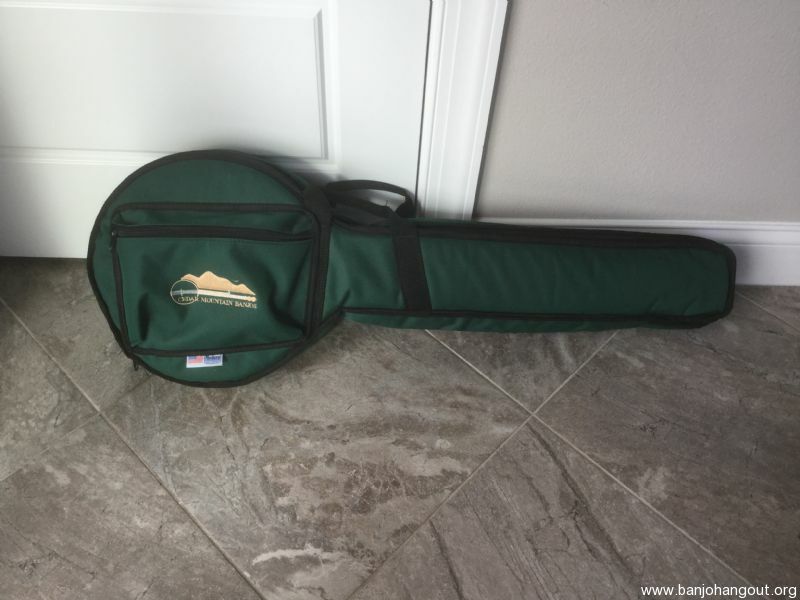 I a will provide free FedEx shipping with insurance and signature confirmation. 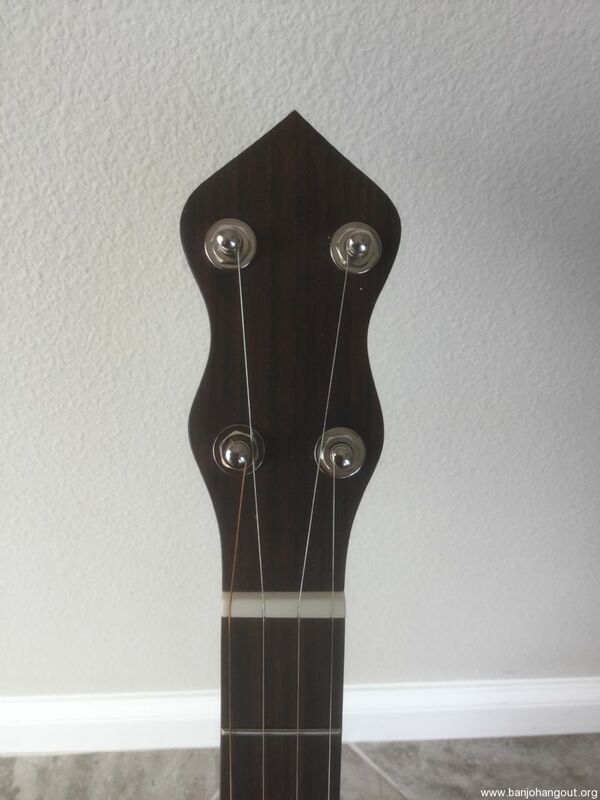 The Brainjo is a special edition of the Jubilo line that is the result of a collaboration between CMB and Josh Turknett of clawhammerbanjo.net. 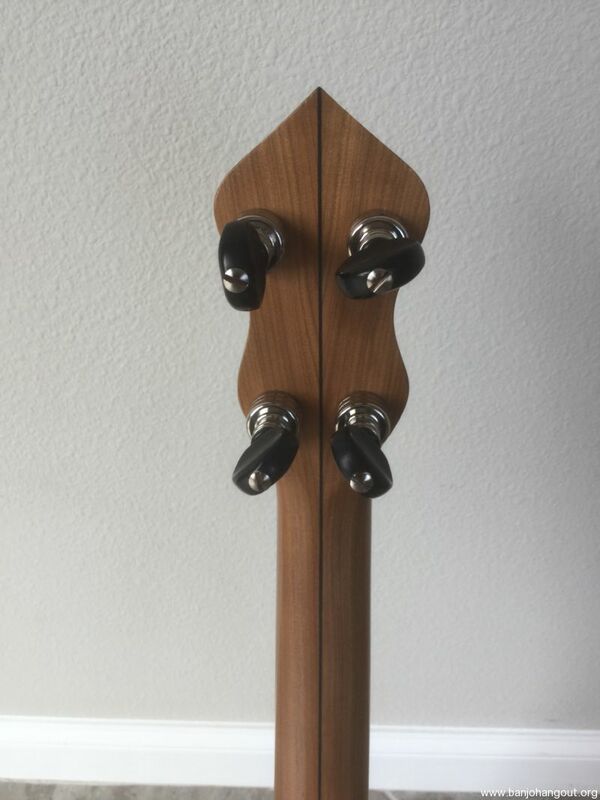 It is handcrafted in the USA by Cedar Mountain, and offers a comfortable, high-quality instrument at an affordable price. It features the following. 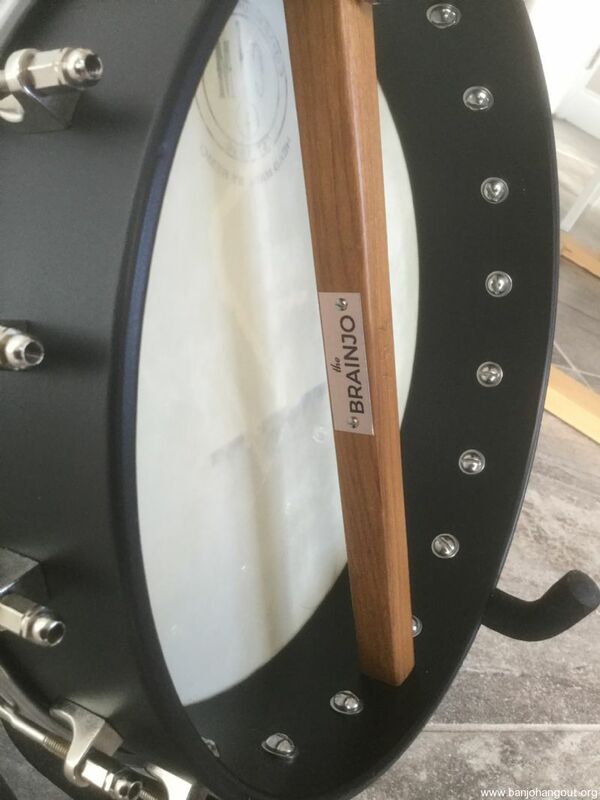 The Brainjo is available with three setup options, from “plunky” to “ringy”.